Immediately after the news emerged, social media was rife with potential customers evaluating the purchase of a new model —even before solid information was available about what HomeKit can and can't do. So, while we await software updates, and the release of the promised new models, let's talk about it. This is possible with the Apple TV now —to some extent. There is limited HDMI-CEC information transmittal back to a television through the HDMI cable to a compatible television, but the implementation is spotty. TVs, on the other hand, have many more properties that could make more sense in scenes —but, as of yet, specific information on what can be done is limited, and vendors at CES itself weren't talking about it. Naturally, there are going to be limitations here on what you can do. The biggest is that this won't act as an Apple TV replacement. Samsung's implementation isn't getting HomeKit —but is getting the iTunes movies and TV store. 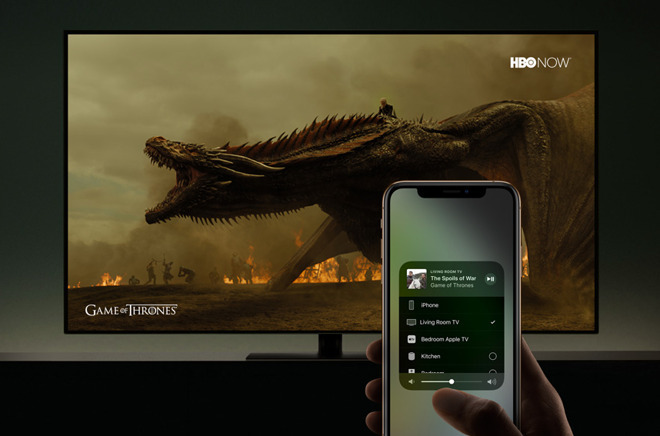 Also, the Vizio and LG versions don't have iTunes, and are limited to just AirPlay 2 and HomeKit. The full tvOS experience and all that entails still remains exclusive to the Apple TV.